Clients benefit from Brinker & Doyen’s collaborative environment. 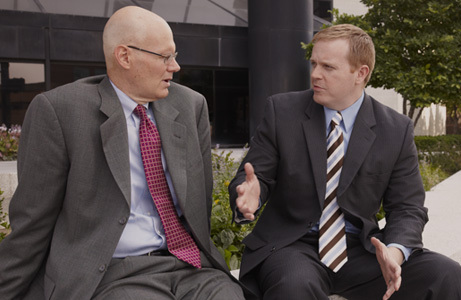 Our attorneys share their knowledge and experience. Brinker & Doyen, L.L.P, provides a full range of litigation and risk management services to insurance companies, third party administrators, and self-insured organizations and their personnel. Our firm represents clients in diverse industries from healthcare to trucking, and often works with public entities such as municipalities and other governmental entities. Clients turn to Brinker & Doyen, L.L.P, for assistance with traditional property and casualty matters such as motor vehicle liability, premises liability, and workers’ compensation. We are often retained for insurance coverage opinions and declaratory actions. We are also called upon for more complex representation in the areas of products liability, surety and construction litigation, medical malpractice, errors and omissions liability, and professional liability. Additionally, our attorneys handle all aspects of property and liability claims arising out of suspected fraud. As our clients have grown, so has our practice, and today we are able to provide complete legal services to clients throughout Missouri and southwestern Illinois. At the same time, we are committed to providing superior professional services on a personal level. We value our relationships with our clients and work to earn their trust and continued business every day.